Verity’s all about protecting her city, but right now that’s mostly running surveillance and handling the less exciting cases for the Weyrd Council – after all, it’s hard to chase the bad guys through the streets of Brisbane when you’re really, really pregnant. An insurance investigation sounds pretty harmless, even if it is for ‘Unusual Happenstance’. That’s not usually a clause Normals use – it covers all-purpose hauntings, angry genii loci, ectoplasmic home invasion, demonic possession, that sort of thing – but Susan Beckett’s claimed three times in three months. Her house keeps getting inundated with mud, but she’s still insisting she doesn’t need or want help . . . until the dry-land drownings begin. V’s first lead takes her to Chinatown, where she is confronted by kitsune assassins. But when she suddenly goes into labour, it’s clear the fox spirits are not going to be helpful . 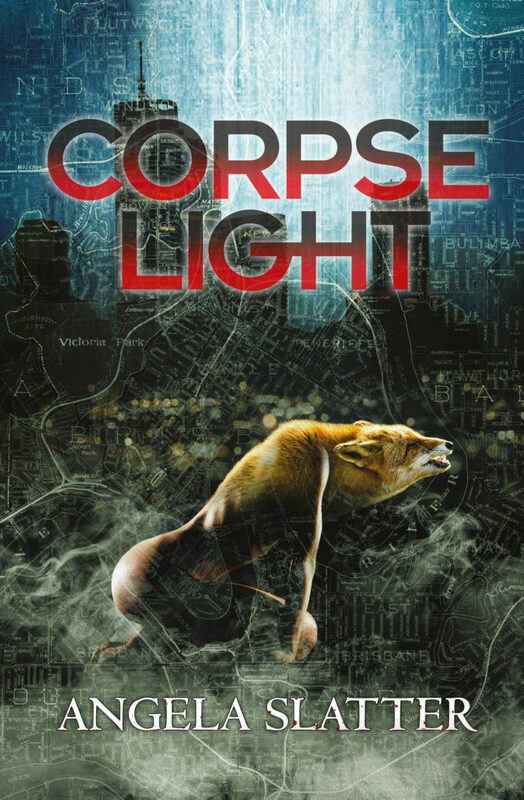 . .
Corpselight is the sequel to Vigil and the second book in the Verity Fassbinder supernatural crime series by award-winning author Angela Slatter. Corpselight has appeared on the 2017 Locus Recommended Reading List. Acknowledgement: The editing of Corpselight was made easier with the kind assistance of the Katharine Susannah Prichard Writers Centre (during my Established Writer-in-Residence gig there) and the Copyright Agency’s Cultural Fund (which helped with funding).